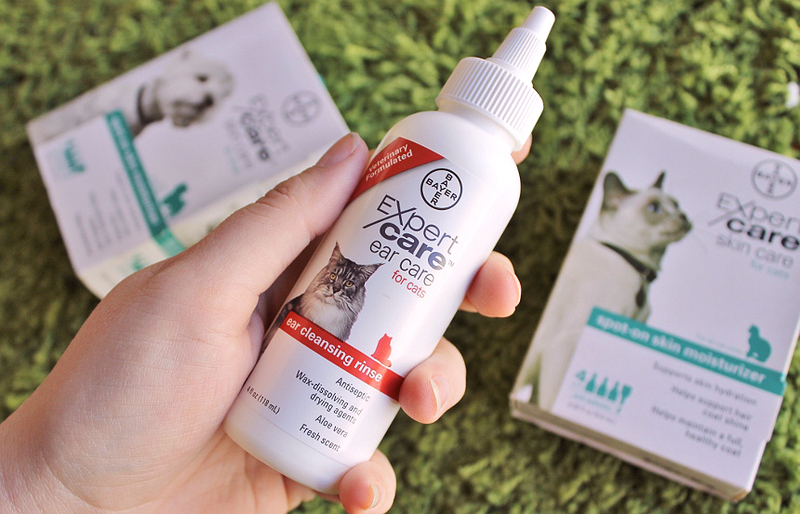 This post is sponsored by Bayer® ExpertCareTM and the BlogPaws Influencer Network. I am being compensated for helping spread the word about Bayer ExpertCare products but Momma Told Me only shares information we feel is relevant to our readers. Bayer ExpertCare is not responsible for the content of this article. Nothing contained below should be taken as expert veterinarian advice. Momma Told Me: Make sure you clean those ears! 'They' call me a crazy cat lady- but there's really only one cat in my life. And it may sound typical, but animals seem to have a sixth sense, an empathetic intuition that transcends verbal communication. That is to say, my cat knows then I'm having a bad day long before Jay or anyone else. It's a different type of relationship than that which I have with the dog. The dog and I, we're like school buddies- we hang out and fool around, but in the end she's going to lick any face that's paying attention to her. Cats, they tend to be much pickier- they like to judge, and they prefer to do what they want, when they want. So, if you have a cat that takes the time to engage you, you either have a bag of treats in your hand, or a lifelong companion. Some people don't like cats, and I get it, it's okay- They're certainly unique creatures! When it comes to Truffles, her and I have been together nearly every day since I bottle fed and weened her as a kitten. So, in this sense, she is my furry, stubborn, whiskered child. If you don't believe me, just ask if I get to use the bathroom in peace with the door closed! Given the bond I have with Truffles, and Nora too, I feel it is my responsibility to provide not just food and a warm home, but great healthcare too. The average pet owner doesn't have pet insurance, or even bring their pet to the vet regularly without a specific concern. But, in all cases, your pet's age, activity level, breed, and more factor into several traits that ultimately can cause health issues, or simply lack of comfort. Proper oral and ear care are one of the most overlooked maintenance chores by pet owners. Let's face it, there's nothing fun about the idea of having to wrestle a pet (especially one with claws) while forcing it's jagged mouth open, or pouring drops down it's ears. But, did you know Bayer pet products make a complete range of Bayer® ExpertCare™ products, sold at PetSmart, that help take some of the anxiety and guesswork out of everyday pet healthcare? 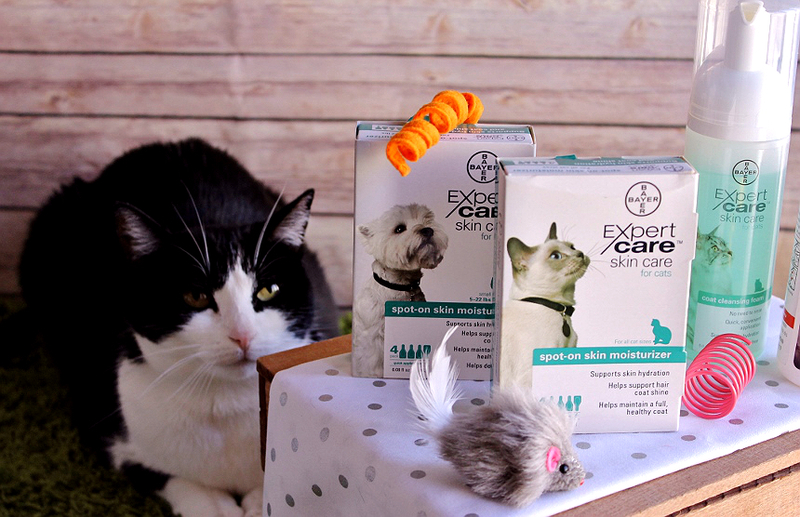 Bayer® ExpertCare™ Ear Care For Cats is our go to product to keep Truffles ears squeaky clean- it's her secret to hearing the treat jar opened from 3 rooms away! There's even a Bayer® ExpertCare™ Ear Rinse for canines! This Aloe Vera infused formula has a light fresh scent, is an antiseptic, and helps dissolve tough built up wax. 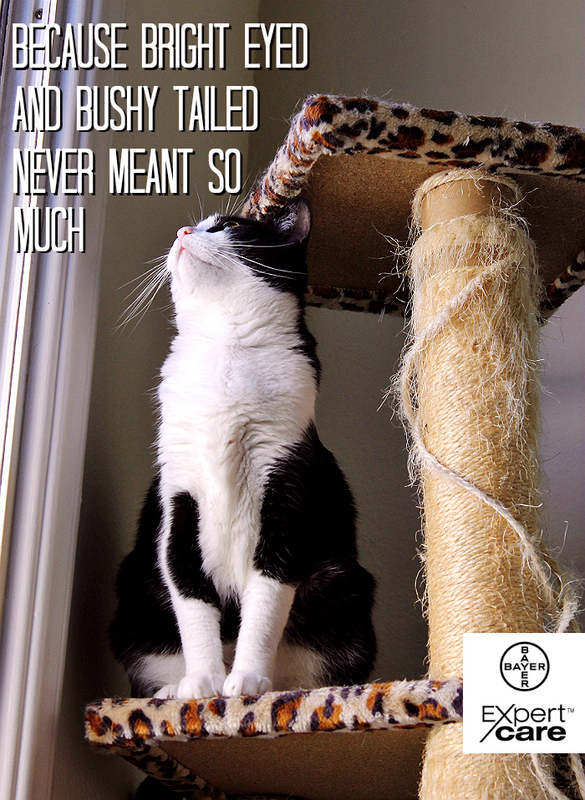 I wish I could say Bayer® ExpertCare™ Cat Ear Rinse made cleaning your cat's ears fun- but it doesn't. It does, however, seem more agreeable than other ear rinse products we've tried in the past- and the nozzle offers easy, targeted, application. 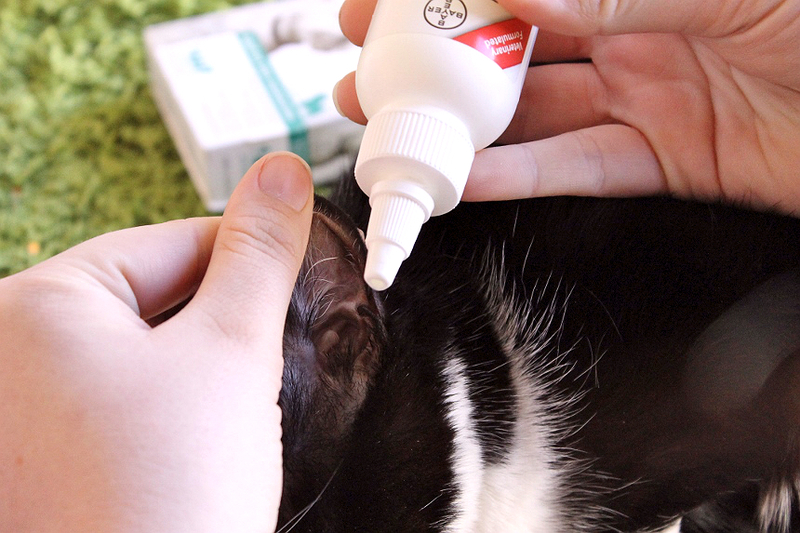 Simply apply a few drops directly in your cat's ear canal, gently massage the exterior of the ear, then use a clean cloth to daub up any extra residue/solution. 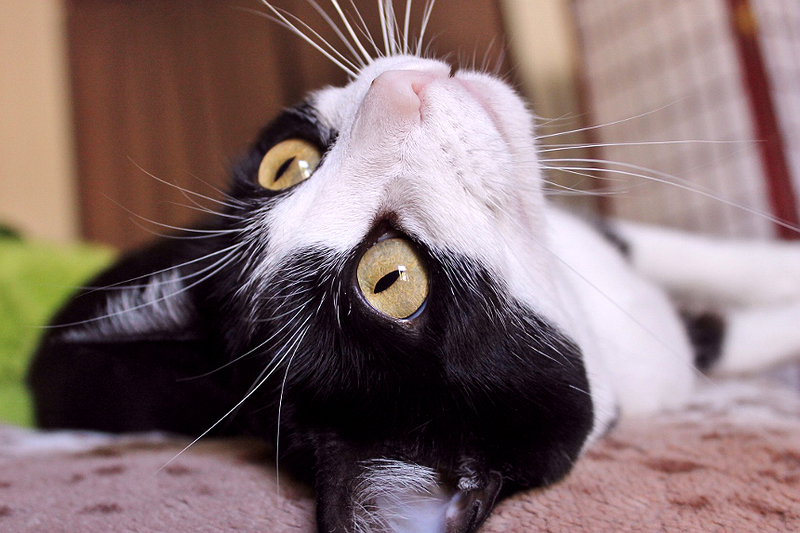 Never put a cotton swab into your cat's ears- you don't want to spook them, or accidentally injure sensitive tissue! Ears should be cleaned twice a month, to no more than twice weekly, as directed by your veterinarian. The ear cleaning process doesn't stop there, though- You wouldn't take a toddler to the pediatrician for a flu shot and not give them a Scooby-Doo band-aid and a lollipop. 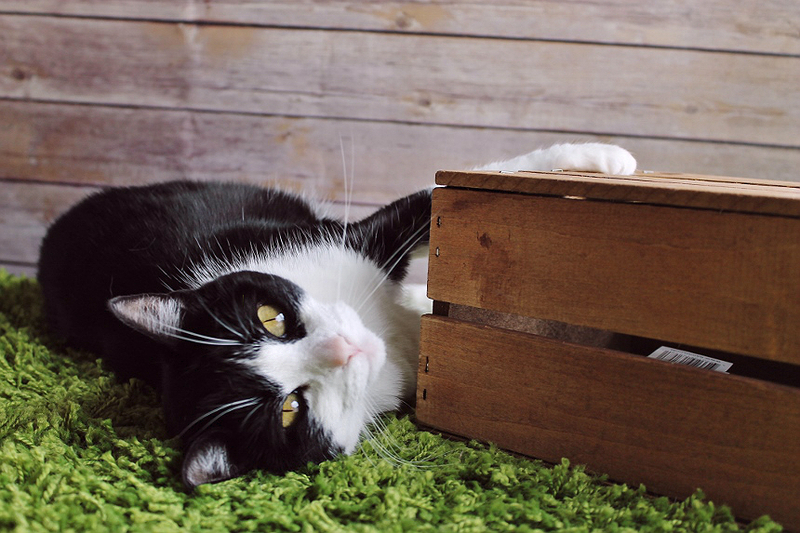 Be considerate of your feline friends and reward their endurance of the process with some targeted play time and extra cuddles. Of course, if your cat has yet to establish a routine for ear cleaning, and is especially miffed by the event, you may want to allow some 'cooling' personal time before engaging them again. Truffles actually seems to enjoy being preened and pampered and, much like after baths, will bring me toys until I play with her following one of these care routines! If your cat's less motivated by 'things' then tempt them with food. Reward good behavior, or even the sucess of having cleaned your cat's ears without losing an eye, with a treat. The more you reward the less than pleasant tasks, such as at home grooming and healthcare, the more your cat will become complacent with the tasks in the future. 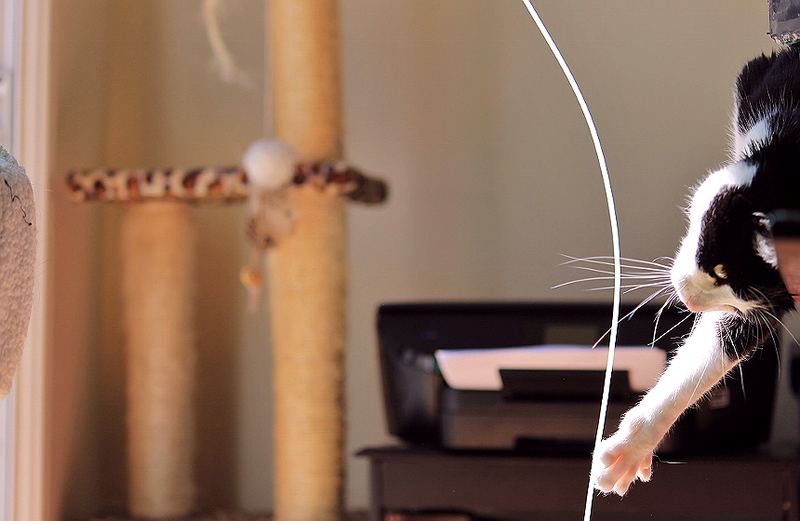 Who says you can't train a cat new tricks? But really, at the end of the day, consider Bayer® ExpertCare™ home pet care and grooming products because your loving touch will always be far more calming and agreeable than any trip to the vet! Bayer® ExpertCare™ at PetSmart has a wide range of quality products from skin and coat moisturizers to cleansing cloths and probiotics. Read more about Truffles and our experiences with Bayer® ExpertCare™ Spot On Skin Moisturizer in our previous post here. There are even a few fun photos of Jay and Nora in their ugly holiday sweaters! Now, tell me, are you guilty of 'skipping' at home care because Fluffy or Fido doesn't tolerate it too well? What could help you feel more confident in tackling at home grooming and health care for your pet? You have such great suggestions. My sister just got a cat and she can be a bit on the wild side. Her stomach is also not that great. I definitely need to check out these awesome products. 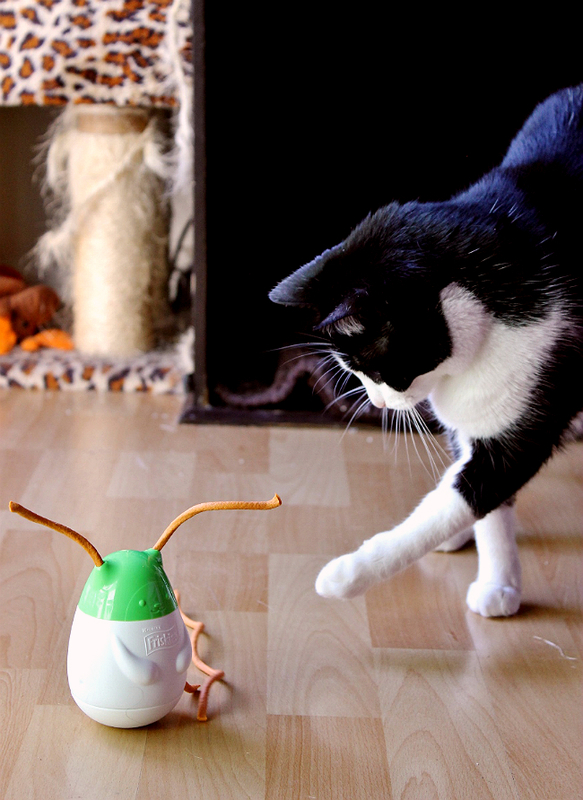 Our cats love the little Friskies' toy. I've never tried cleaning their ears though. We generally have it done at their checkups. I guess I should look into that. Cute cat! Truffles is so lucky to have such a loving human. It's so important to take care of all of a cat's needs - not just food and shelter. Your right, when you accept pet into your life it involves more that tossing out food and water when the notion hits. They require health care the same as every member of the family. I will look for Bayer products on my next visit to the pet store. I didn't know Bayer made things for cats - interesting. "Furbabies is such a cute phrase to use!